How to have a IF Calculated field but returning text? Would like to ask if it is possible for us to have a IF statement calculated field that returns text? Appreciate if you can advise the correct formula if possible. The calculated field can only return values of type number. 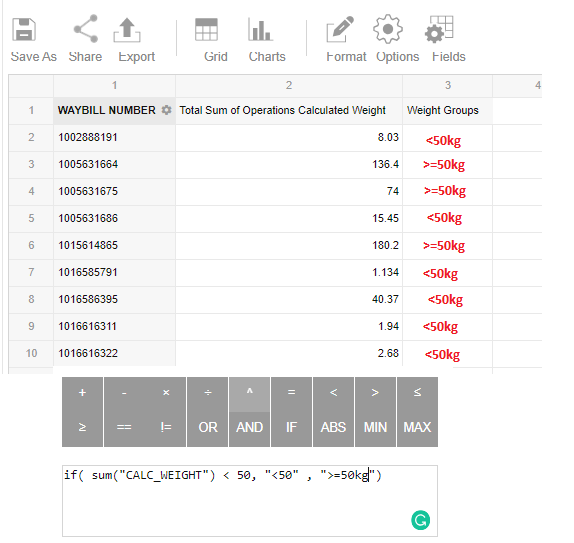 As a result, the cells of the “Weight Groups” column will show text as desired. We have prepared a JSFiddle example for illustration. Please let us know if this works for you and if you have further questions.